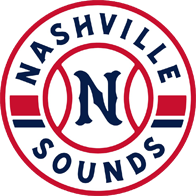 SunRiver IT Partners Is The Official IT Support Company For The Nashville Sounds. business...SunRiver IT Partners is here to help. associations and even your start-up company. When You Need A Reliable Nashville IT & Computer Services Company, SunRiver IT Partners Provides A Complete IT Service For Local Businesses Across Middle Tennessee. Note: SunRiver IT Partners will protect all your confidential information. We will never share, rent, sell, give away and loan your personal details to anyone. Not even our mothers. You Can Trust SunRiver IT Partners. Why Is SunRiver IT Partners The Best Choice For Your Next Nashville IT Support Company? Don’t worry about your network being down at awkward times anymore. With SunRiver IT Partners’ 24/7 monitoring, you can trust your network will be running when you need it. Our custom IT services packages deliver what you need and want without overstepping the boundaries of your budget. From cloud services to data backup, we’re here to team up with you and your company for expert support. If your company is in Middle Tennessee, SunRiver IT Partners wants to be your next Middle Tennessee and Nashville IT consulting company. how SunRiver it partners supports your computer network? Every company in Nashville has unique information technology needs. SunRiver IT doesn’t make you change your business in order to work with our technical support professionals. Unlike other managed IT services companies, we listen first and then design the perfect support offering. Security is one of our number one priorities. There are many individuals and organization with one goal, to cause harm to your business and steal your valuable information. They want to disrupt your business. We protect you, keep your data safe and ultimately…stop hackers from impacting your operations. Ready To Choose SunRiver IT Partners As Your Next Nashville IT Company? If the thought of letting go of crucial parts of your business gives you the hives, it’s time to ..
April 24th is Administrative Professionals Day, which is an occasion worth celebrating. No office ca..
﻿ This year, what will you do to celebrate Earth Day? The 49th Annual Earth Day is nearly up..